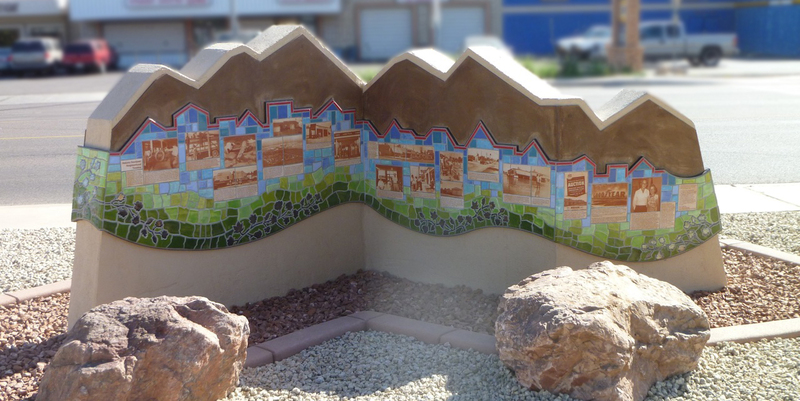 The mountain-shaped, zigzag design for the masonry wall reference the Estrella Mountains that are visible everywhere in Goodyear. The sign also includes historical elements related to the community. 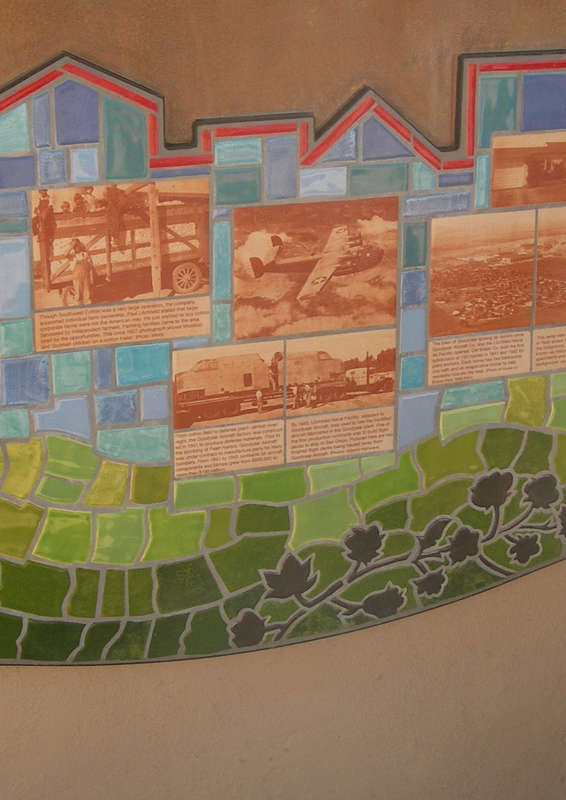 The handmade tile sections have a cotton motif silhouette that wanders through the bottom portions of the tile work to represent the City’s beginnings as a cotton growing community. The green tiles represent the agricultural fields, while the blue tiles represent the expansive sky. 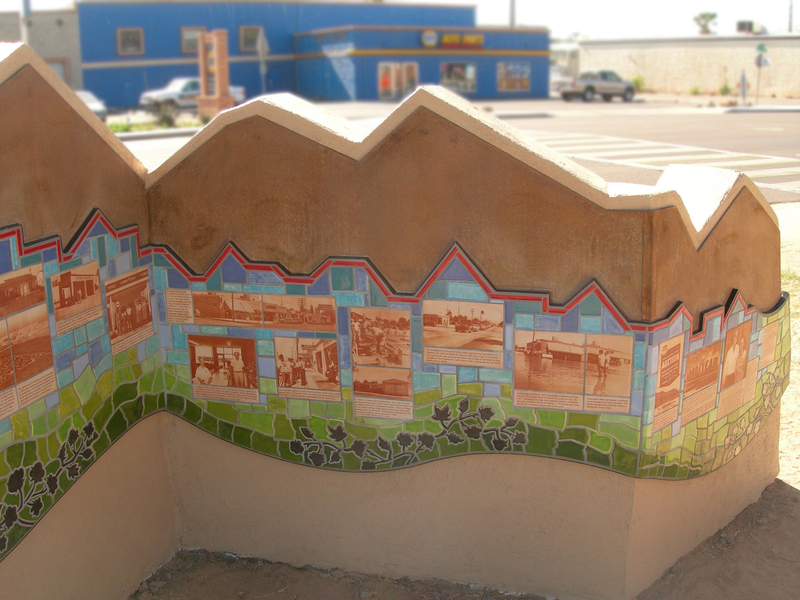 The upper portions of the tile work are shaped as a cityscape, indicating how the town grew from the original cotton industry. The back of the sign has 38 photo and text tiles that tell the story of how Historic Goodyear developed from its start with cotton, through its role in the defense industry in WWII and how the neighborhood grew along with it.